Income Tax is levied based on the residential status of the person. Hence determination of residential status of individual is very important for income tax purpose. (b) If he was in India for a period of 365 days or more during the four years preceding previous year AND he was in India for a period of 60 days or more in previous year. (2) He has stayed in India for at least 730 days in 7 previous years immediately preceding the previous year. 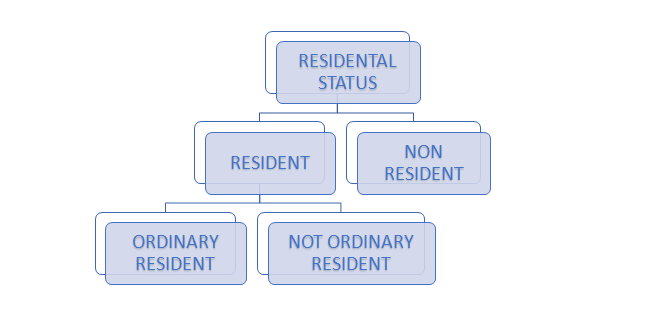 Citizenship of a country and residential status are separate concepts. For determination of residential status, it is not necessary that the stay should be for a continuous period. Once an amount is received by an individual then its remittance or transmission to any other place and it would not be a taxable. Important for the individual to see whether receipt of the income that has taken place and remittance for them. For example, a person who is abroad sends money to their own account and therefore this would not be the situation of an income as this is the own money of the individual that is just being transferred.